That one’s too cold. That one’s too warm. That one too heavy. Most tools in your toolbox are designed with a specific purpose. The same goes for your gear. Perfectly engineered for a certain scenario of set of conditions. 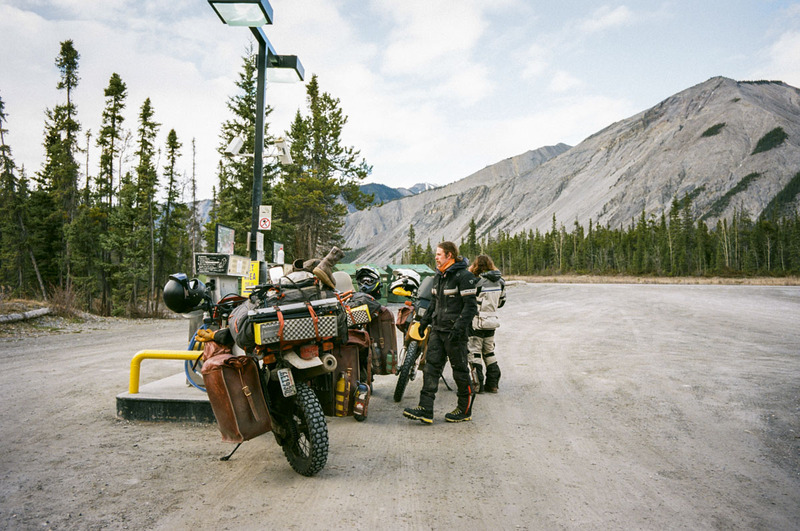 Good gear can even provide you with some versatility, seamlessly moving from one adventure to the next. Not all gear has this talent. After all, you wouldn’t want to wear your winter mountaineering boots out on a casual hike in the summer. 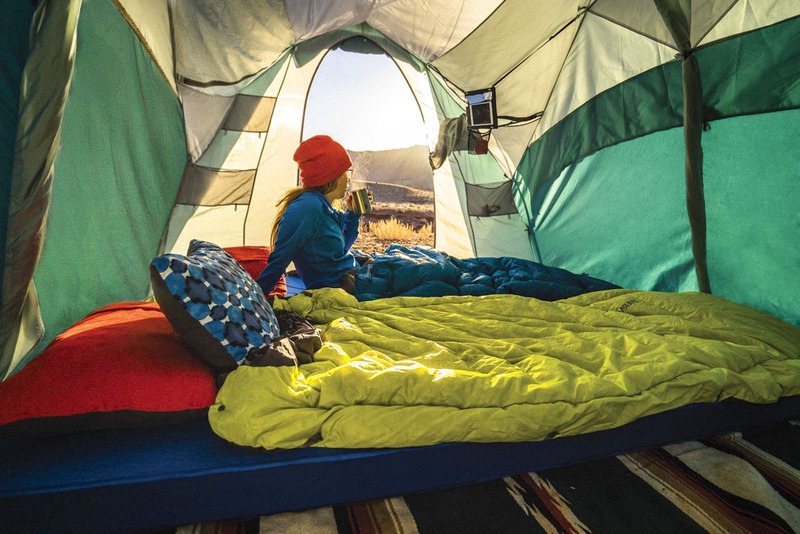 In this edition of Therm-a-Rest Gearshed, we walk you through a few of our favorite transition pieces that we make. Dialing in your gear is tough, but selecting your kit during changing seasons is even harder. After a summer of backpacking, it’s hard to know exactly when to start packing the puffy and warmer bag or when to stop packing extra rain gear as spring turns to summer. Nothing is harder to pack for the transition from one season to the next. However, some gear has the divine talent of helping these transitions a little smoother. That heavy, base layer that keeps you warm and wicks your sweat through the winter can also be a comfy, camp shirt on cool nights during the summer. These pieces of gear are worth their weight in gold. Whether it’s a summertime thru-hike or snow camping in the heart of winter, the Corus is always the right call. For those of you that read The Trail Less Traveled, you already know all the benefits of a quilt. Built with Nikwax Hydrophobic Down to withstand damp conditions, the Corus is lightweight and super compressible. 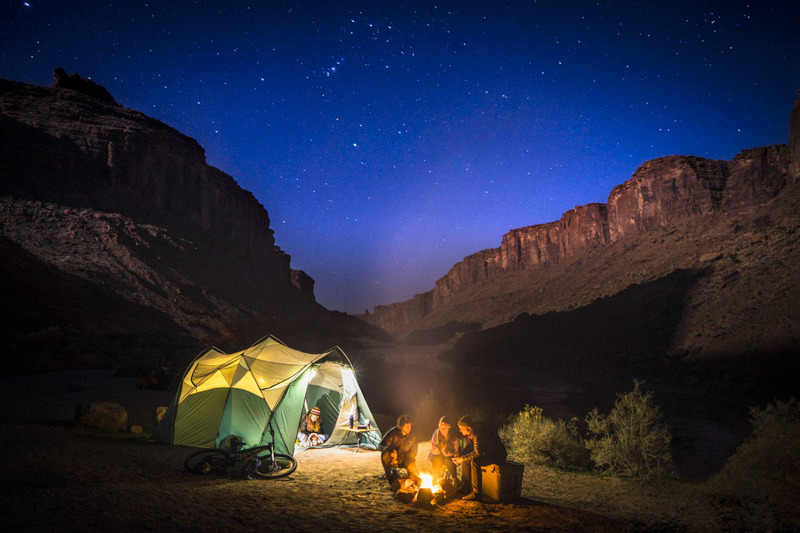 It can be used solo in milder weather or added to the top of a sleeping bag when temperatures drop below freezing, making the Corus a year-round staple amongst the Therm-a-Rest tribe. Mattress. Windshield. Camp couch. Splint. Cover up. The Z Lite just might be the most versatile piece of gear we make. Aside from being ultralight and nearly indestructible, the Z Lite is also warm and breathable, making it a favorite amongst thru-hikers. When the leaves fall off the trees and the ground grows cold, the Z Lite can add some extra R-value underneath your other Therm-a-Rest pad. 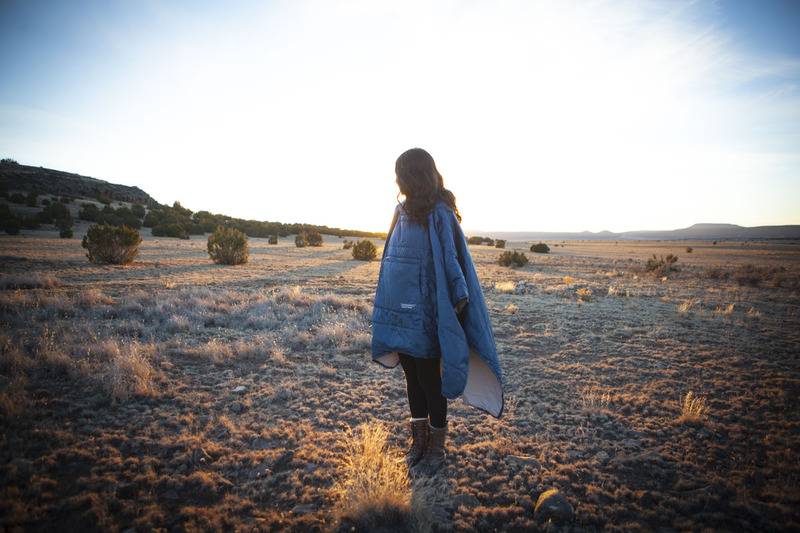 Equal parts poncho and blanket, our Honcho Poncho is at home on a chilly beach while surf camping or thousands of feet off the ground in Yosemite. This handy piece packs down into it’s own pocket, always ready for action. It can be worn to stay warm around camp or layered on top of your sleep system to add some extra warmth to your night. The synthetic insulation is breathable and resists moisture to keep you dry in less than ideal conditions. 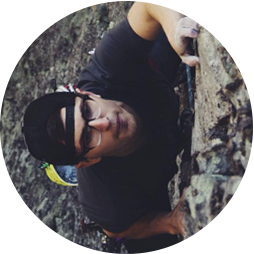 A warm kangaroo pocket keeps your hands warm while cooking in colder-weather or resting between bouldering attempts. Kneeling to make a fire? Taking a break after a long uphill section of trail? Ready to kick back and enjoy your morning camp coffee? Forget to bring your pillow? The minimal yet plush Lite Seat has your back. 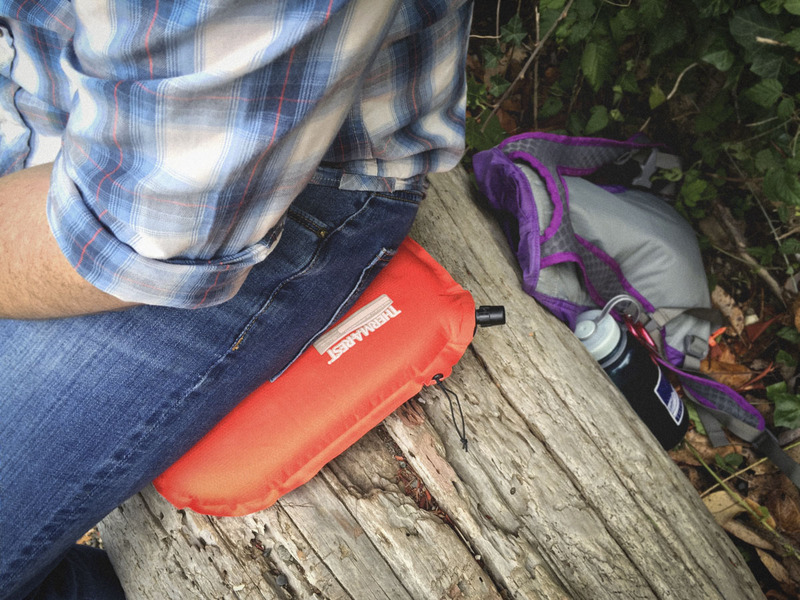 This compressible, self-inflating seat provides luxurious comfort while only adding a few ounces to your pack weight. Made from the same material as our award-winning ProLite mattress, the Lite Seat keeps your backside warm when place on cold ground or snow. Pick up a Lite Seat and add a little comfort to your camp. When the leaves start to drop, most people tuck their hammock back into the gear closet to collect dust until the warm days of spring arrive. This doesn’t have to be the case. 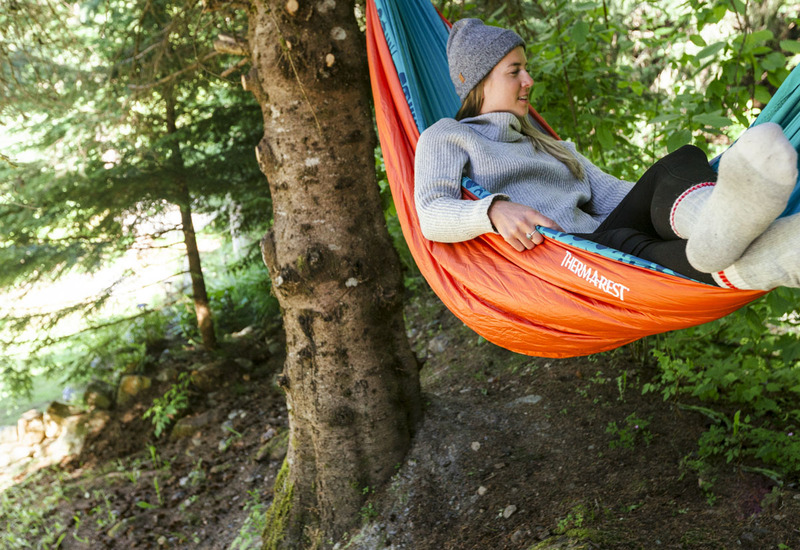 Open up your hammocking possibilities with the Slacker Snuggler. 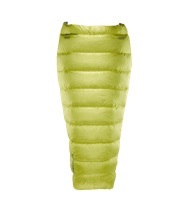 This synthetic underquilt is contoured and fitted to maximize your hammocking warmth down to 35F/2C. 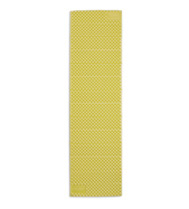 The fill resists moisture and is ultra-compressible for easy packing. 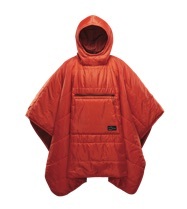 It can even be used as a camp blanket for chilly nights at camp. Get more out of your hammock and stay toasty warm with the Slacker Snuggler. Keep your eyes out for our down-filled snuggler in 2018. Share your favorite transition gear in the comments below or follow the links above to scoop one of our favorite pieces of gear for changing seasons.